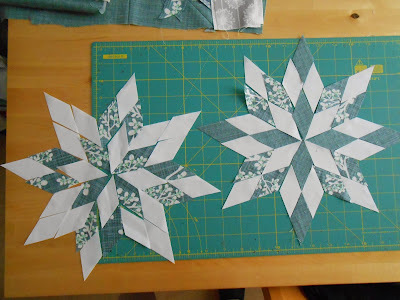 More block additions to the Winter Baby Girl Quilt and yes, I did go with the snowflakes! It might have been a bit mad not to paper piece these but I managed and am deeply satisfied with the results. 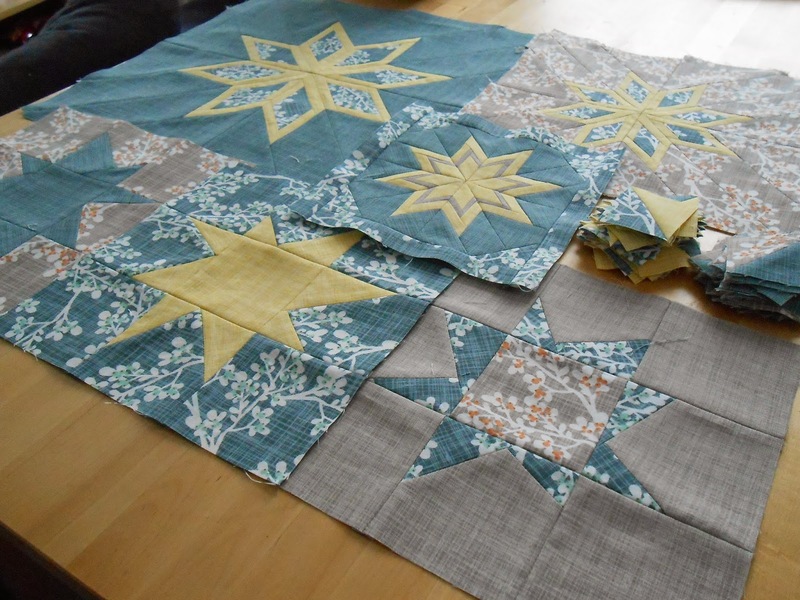 Can I just say how great I feel about this quilt already? 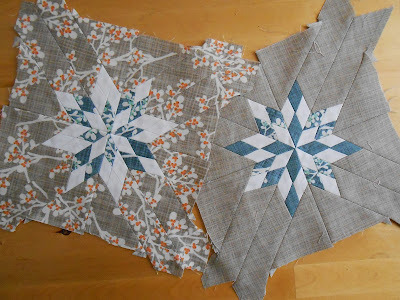 These will likely get frames in the evening, for now I'm off to visit my colleagues with cake and a gazillion sweets. Soul food to make up for my absence. 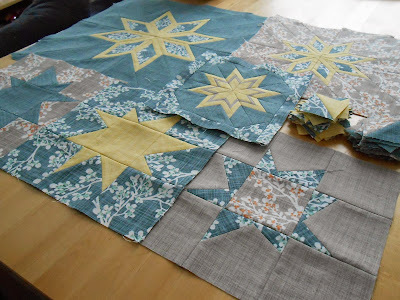 Love how this quilt is coming together. Those fabrics are so lovely! 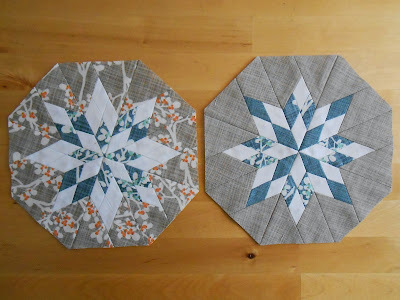 These are some stunning blocks! 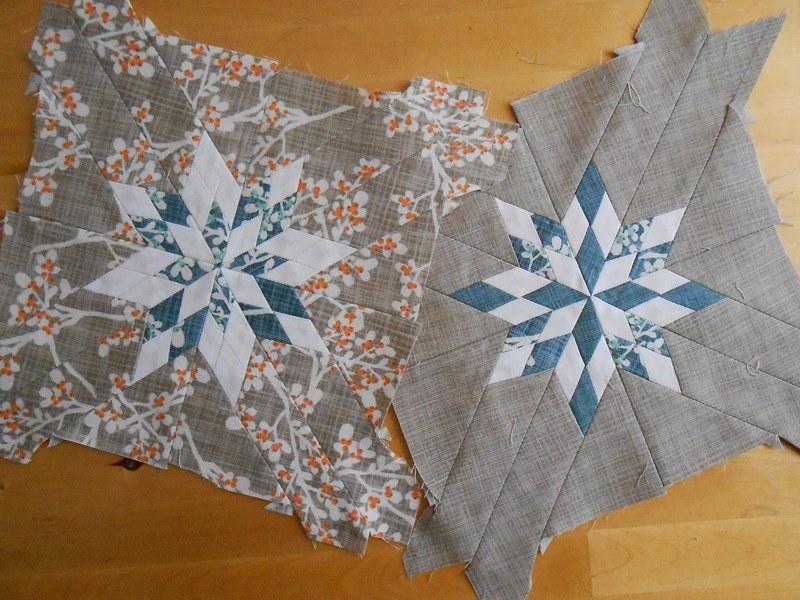 And I second the amazement that they are so accurate without paper piecing. Are you working from a sampler, or these all just things that come to you when inspiration strikes? this looks like it will make up to be an amazing quilt. Wow! Your snowflakes are gorgeous! I love the beige ones. 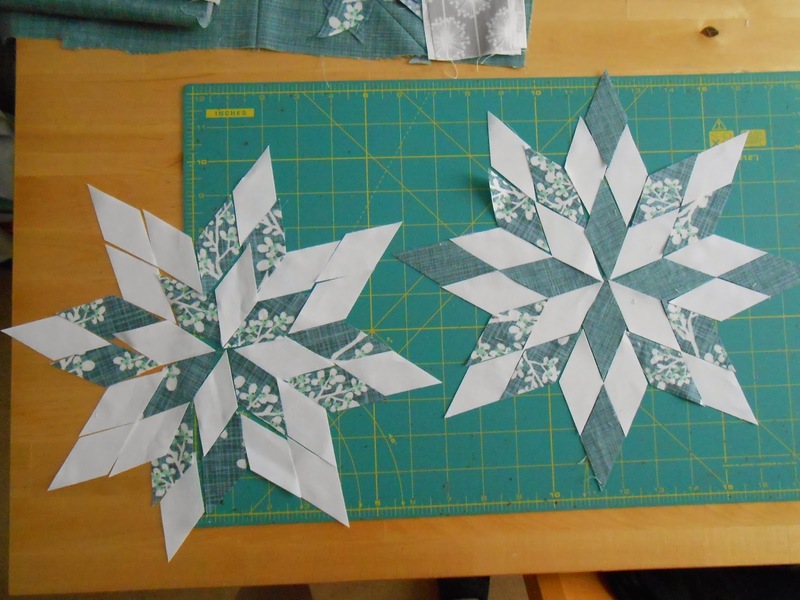 I'm looking forward to seeing the assembled top and finished quilt.